When I moved to Canada from Europe I had no idea what to expect. Ok, I didn’t expect people with blue faces. Later I learned that they do get blue faces, usually in the second half of February. It was a few years ago I was introduced to shooting birds, with my camera. Again I didn’t know what to expect. While Europe is pretty rich in birds, I had never had any interest in them. After all, the cities I lived in were hardly a place where you can find birds. Unless you’re looking for pigeons or house sparrows. 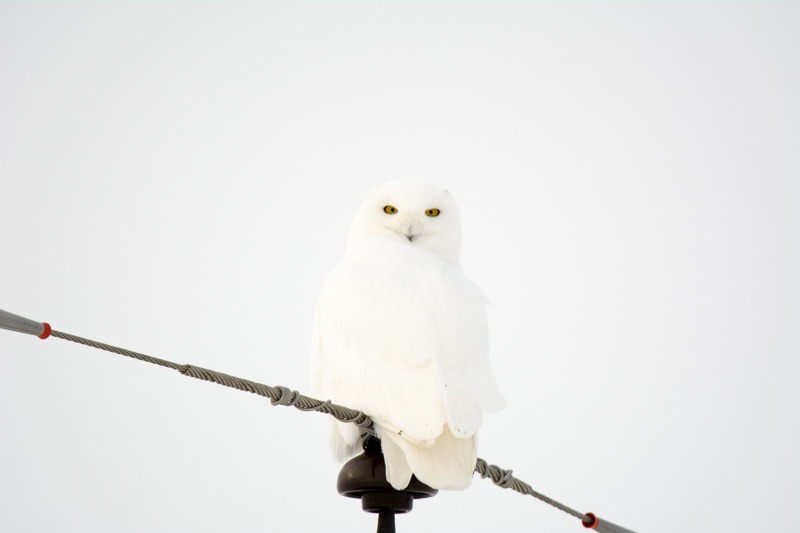 Here in Canada I got the first real view of birds that didn’t look like sparrows (or did, but with a twist). The white ones were a real treat to shoot. The first one I saw was in the Zoo. It didn’t look too miserable, it just looked out of place. 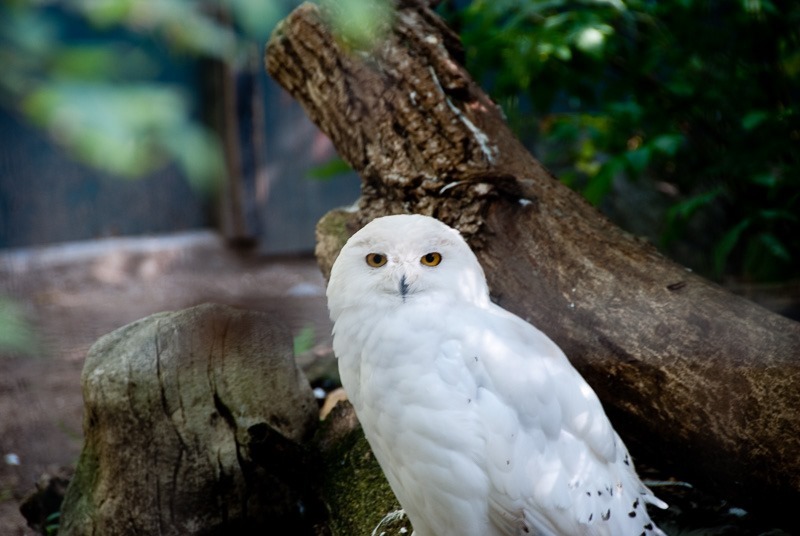 The one thing it had for it in the zoo was that it was not afraid of people being too close. I took a few shots and moved on. Later, I processed the pictures and saw this one, the lead picture. It looked a bit sad, an animal deprived of its natural habitat. So I decided to find its habitat and shoot it there. It seemed simple enough and a good presentation to the folks back in Europe. How hard could it be to get a white bird? After all, they were used to humans, right? 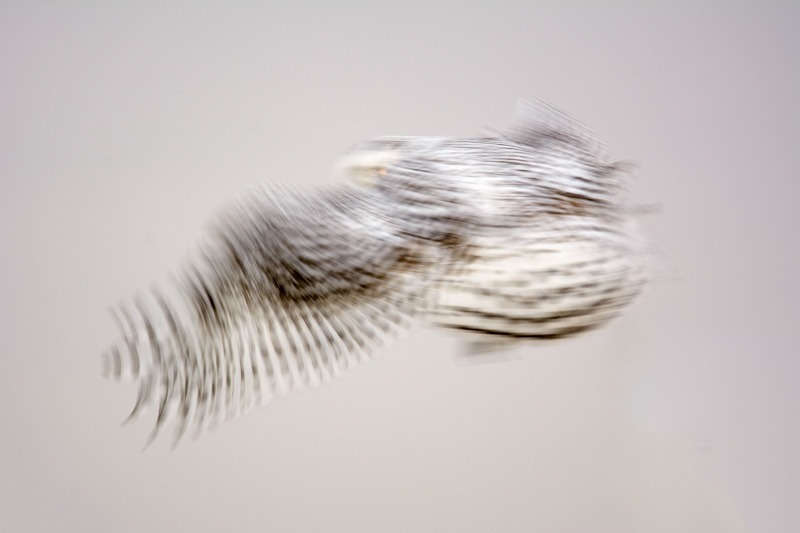 The first shot I got at a Snowy Owl after the zoo, that is, didn’t turn out as well as I had hoped. The above shot shows you how far away I was from the bird. About half a second before it flew away. I hadn’t even gotten out of my car yet. The second chance I got was with a friend who let me use his 500mm lens. Compared to my then long lens of 200mm, that was a big step forward. Also, the birds didn’t seem to fly away as quickly as before. I guess that a 500mm lens didn’t look as evil as the human getting close with a 200mm. The 500mm though was something a bit different to handle, and without practice, the birds still had the upper hand. The war was on! 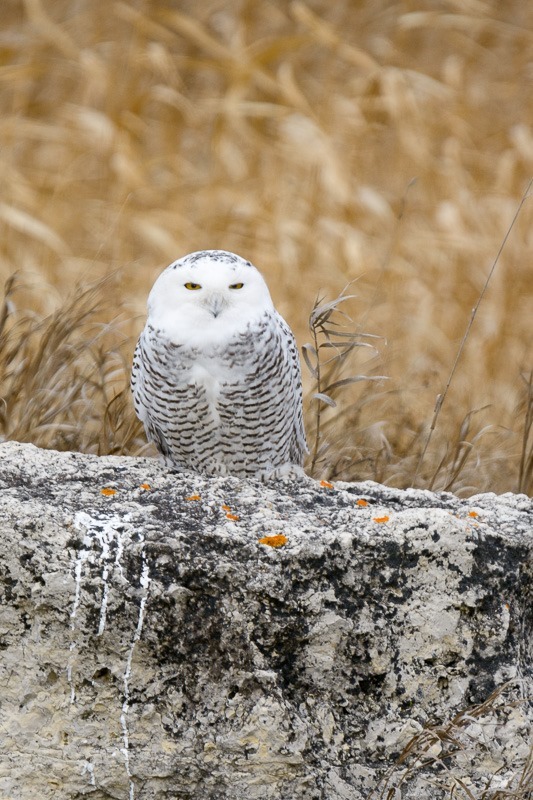 I just had to get a decent picture of the Snowy Owls in its natural habitat. 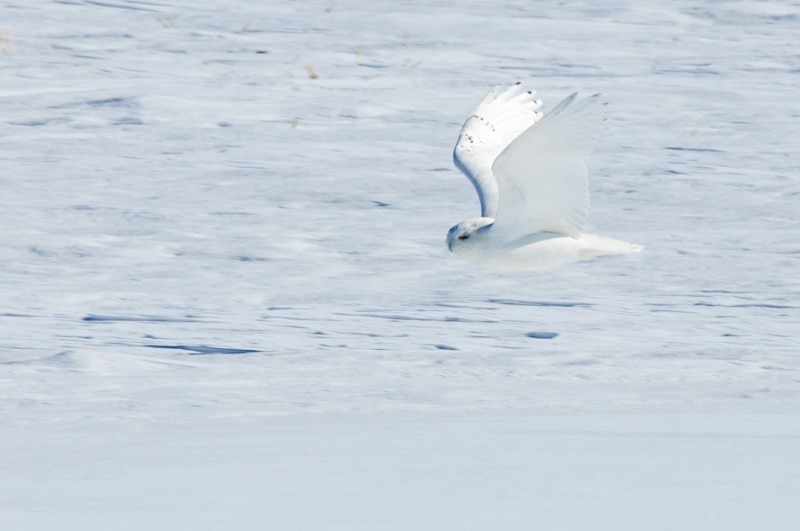 The above shot is a pretty heavy crop from a frame where the bird takes up very little space. Still, I was very happy getting it. It was also the last shot of the whole day. Then the birds started to be more used to humans, it seemed. 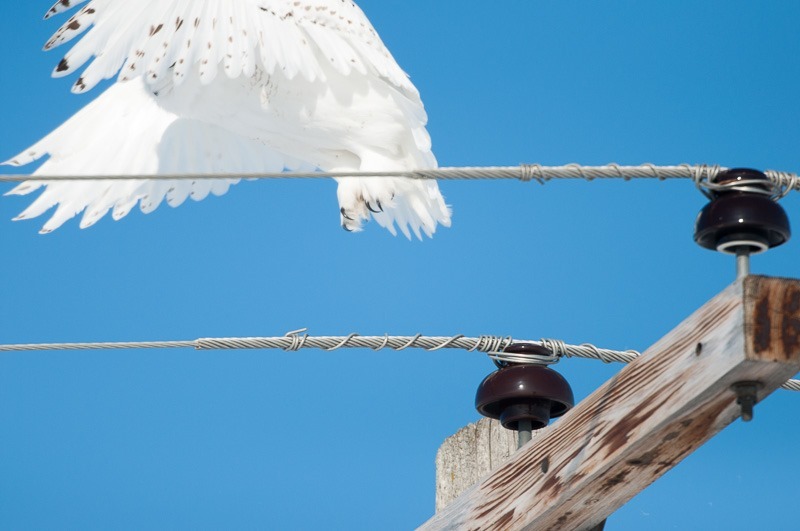 The only drawback with these pictures is that besides the Snowy Owls, they also seem to promote the perfect handy work of Manitoba Hydro. I didn’t seem to get other opportunities unless I shot the hydro poles with them. 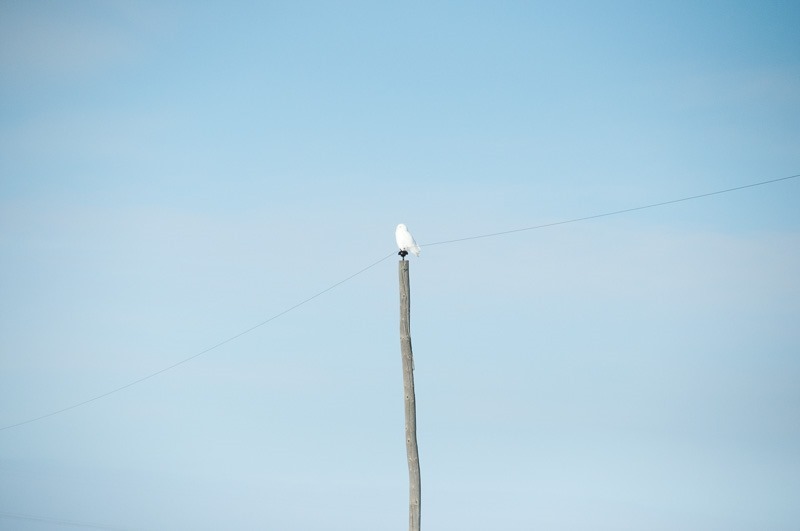 Once I got an owl on a pole that apparently had been decommissioned, so the wires were no longer visible. But it was still a hydro pole. All I wanted was to shoot them in their natural habitat, and in my idea, the Arctic doesn’t have many hydro poles to begin with. So I needed to find other places to get to them. 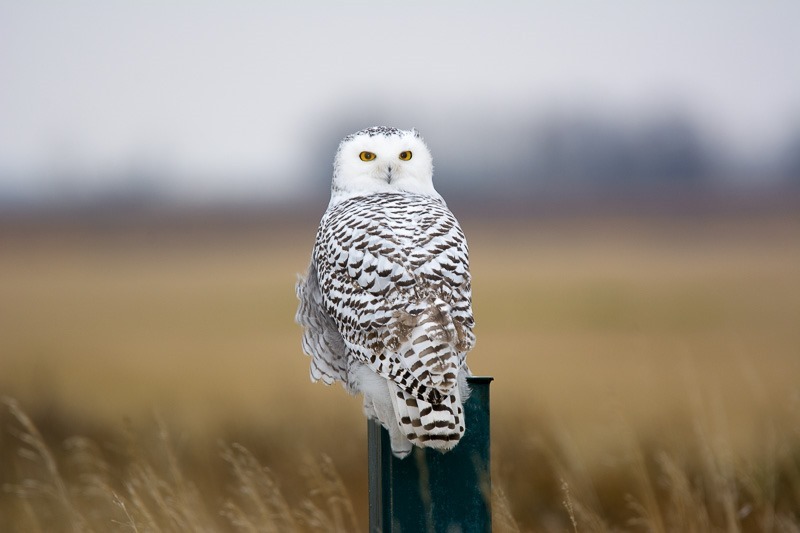 I went to a lot of different places, until the receptionist at Oak Hammock Marsh told me that there was a Snowy Owl around. Just one. In a 20 square kilometre area. I got lucky and got the owl on a perfect spot. Sure, but a signpost or a hydro pole are still the same to me. Not really representative of the natural environment of these magnificent birds. 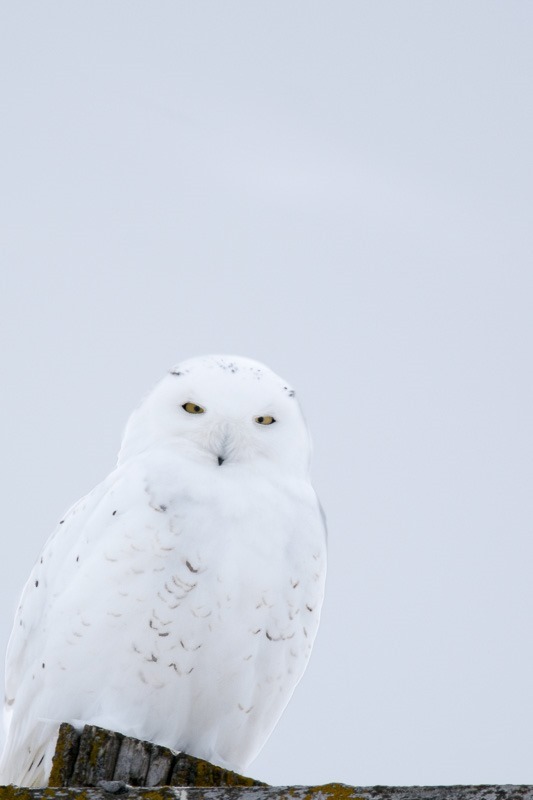 So on went my quest for the perfect shot of a Snowy Owl. Then, something interesting happened. The 600mm now in my possession made it a lot easier to get the birds while they didn’t suspect I was there yet. The above one was just changing hunting spots and landed again within easy range of my camera. I also decided to add some extra light to the picture using my speedlight and a beam concentrator for longer reach of the light. Finally that turned out pretty good. The top of a fence post and a perfectly blurred background. The only that was left to do was to get rid of the red eyes from the flash. I know that flash should not be used on your camera, but when shooting wildlife it’s already hard enough to get a good shot, forget about pointing that light properly to the bird without it flying away. A few days later, another animal presented itself. It was not too far away, not too close and completely calm and relaxed. Relaxed to a point where she just closed her eyes to take a nap. No fence posts, no hydro poles or other manmade artefacts, just the bird on a rock (ok, that rock looks man made, I agree). But this is the closest I have gotten so far to getting this bird in its natural habitat. I am pretty happy with the final result, for now. I will still try to get it in different situations and preferably not while flying away from me. After all, these birds are hunting for food and hunting to stay alive. 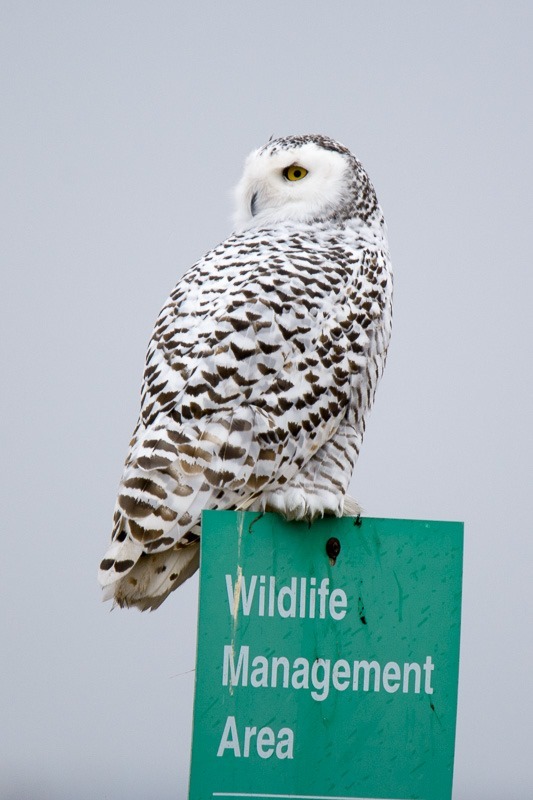 Disturbing that delicate balance between life and death for that bird is simply unthinkable. When this last bird was finally asleep, we quietly drove away.